As you move in your career you need to build leadership skills at every opportunity you can get. This can help in your promotion chances. But what are the leadership skills you can build when you are at a junior level? One opportunity to build leadership skills is during stressful situations in the workplace. 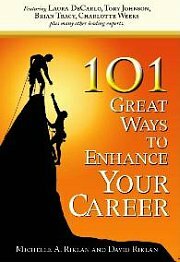 As a newbie pursuing career success, you are bound to face tough situations. Typically, the reaction to a tough situation can range from anger to frustration. Sometimes even an emotional outburst. Leaders are emotionally mature. That means they hold their feeling of frustration and anger very well. When faced with a challenging situation how do you react? Be conscious of it and adjust accordingly. This is one way to build effective leadership skills. Leaders are firm and stern. They are assertive in the things they need and want. They are decisive and competitive. They are not afraid of challenges they face in order to achieve their goals. Their attitude to obstacles is unwavering. When you look for opportunities to build leadership skills, look for challenges where you need to be assertive. At a junior level, you will face people of senior positions with more experience. If given a project that needs their cooperation and they are less than willing to help – are you able to assert your requirements from them? Are you self-assured? Do you have high self-confidence? Leaders are very confident people who need little approval from others regarding their decisions and actions. They act not to get acceptance from others. They feel very secure about themselves and are not afraid to accept the mistakes they have made. When you build leadership skills for higher positions in your workplace – learn to be self-confident. Self-confidence can come from achieving challenges as you grow in your job. Leaders are not afraid of hard work. They have high energy levels that seem to go on forever as they are fueled by their passion. Long hours seldom deter them from getting the job done. When you build leadership skill for the long-term benefit of your career, ask yourself - do you have a high energy level? Are you fueled by passion? Are you willing to take hard work? Being able to take hard work is also a very important leadership skill to build as leaders lead by example. Only when you can take hard work does your team follow your lead. When you build leadership skills, this skill maybe one of the easiest to start at junior level. Leaders have high self-awareness. This means they are conscious of their strengths, weaknesses, motivations and priorities. They know what they need to improve and what drives them. This makes them comfortable with themselves. They know who they are and it makes leading others easier. Do you know yourself? What drives you? What are your own strengths and weaknesses? What are your priorities in life? When you are able to lead yourself, then you are able to lead others. Leaders are extremely good at building relationships. They empathize with each of the team members and build a relationship with them. Leaders build trusts and earn the respect of the team members. These great relationships contribute to the productivity of the teams. When you learn to build leadership skills, learn to build relationships too - even from early on in your career. To learn to build relationships, learn how to inspire team members. Learn how you can influence them to be better. Be conscious about who you need to motivate and who to cultivate. You can build leadership skills even at a junior level. Opportunities abound, you just have to be aware of which you can work on. These would greatly help when there is an opening for promotion. How To Build Leadership Skills? Learn how to build leadership skills at every opportunity for a successful career.